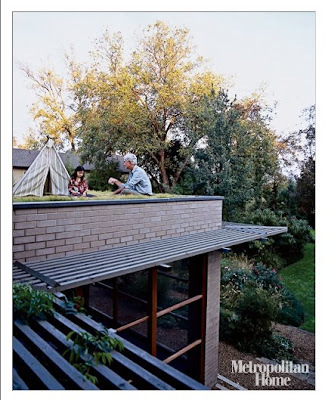 Dallas landscape architect Dave Rolston and daughter Mila atop their grass roof, as shown in the April issue of Metropolitan Home. Read the story about their remodeled, green house here. To read more about the house and its owners, go here and here.